A Classic Rock and Blues power trio from Kansas City, MO. Genre -The good stuff: Classic Rock, Blues. "Rock U America” Gig Night! Rock U America is teaching kids, teens and adults how to play guitar and drums. 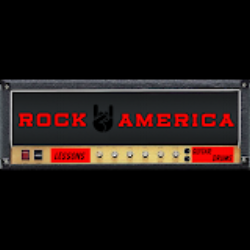 "Rock U America" focuses on not only teaching the basics, but also teaching the kids how to play fun songs right from the beginning. They will be showing off their talents for our enjoyment at the festival!